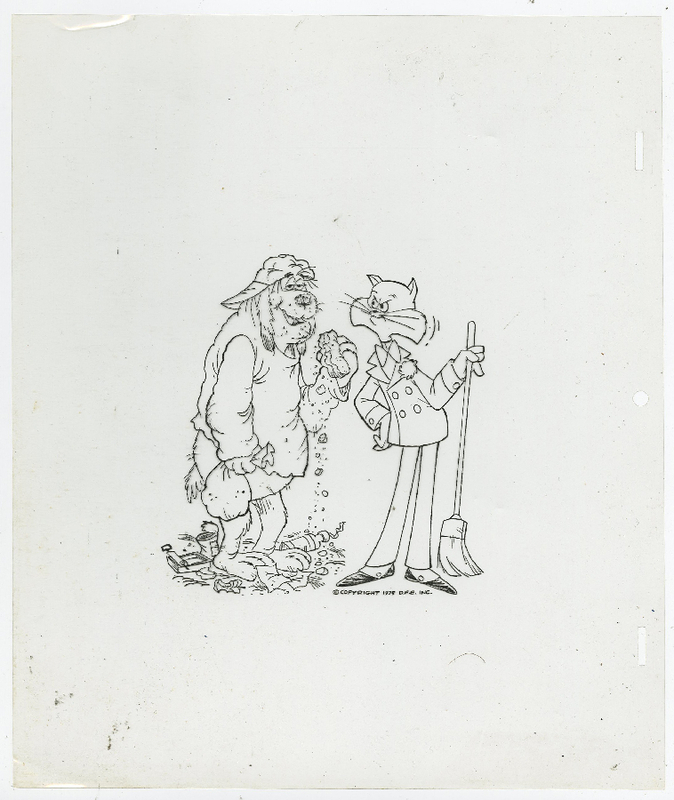 This is an original publicity drawing from the DePatie-Freleng Studios production of The Oddball Couple (1975). 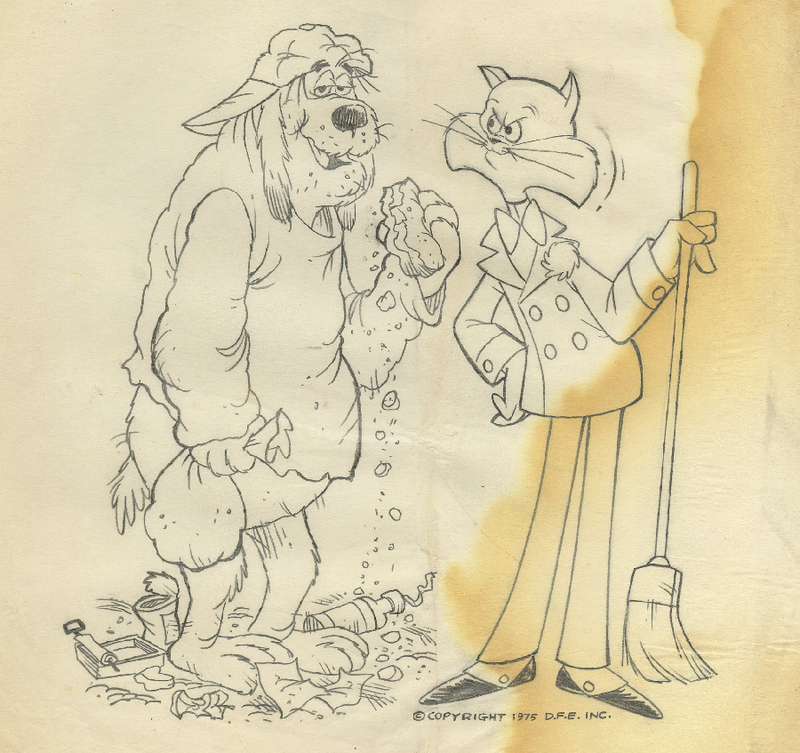 This drawing features the main characters, Spiffy and Fleabag, and was created at the studio and used by the studio for promotional and marketing purposes. 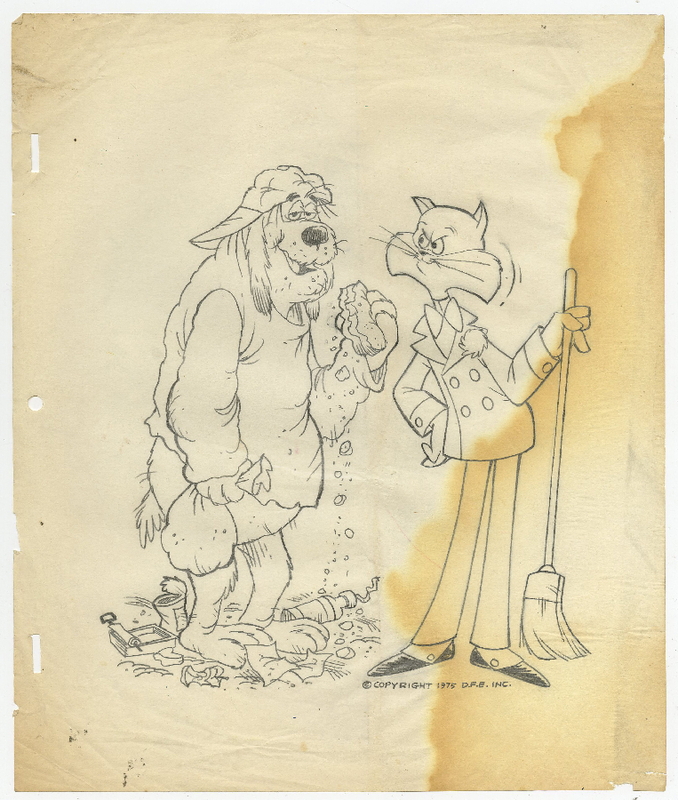 The overall measurements of the piece are 10.5" x 12.5" and the image itself measures 8.5" x 8".The drawing is in fair condition with visible staining, and an unpainted matching line work cel is also included with the drawing.